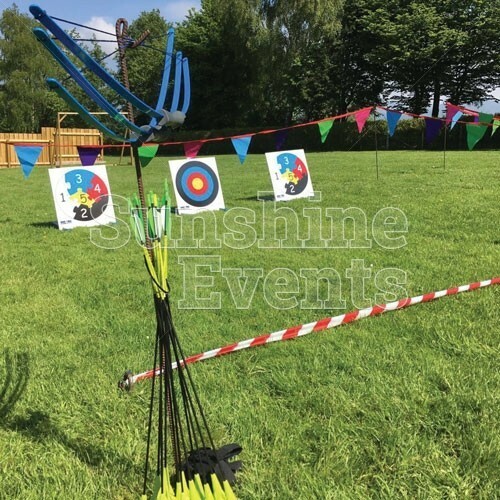 Princess Merida and Legolas have made Archery a popular activity for children as they try to emulate the expert archers they see on TV and film. 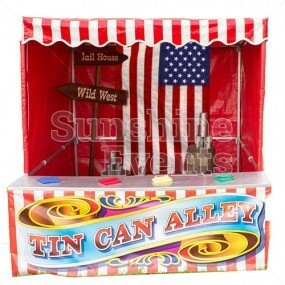 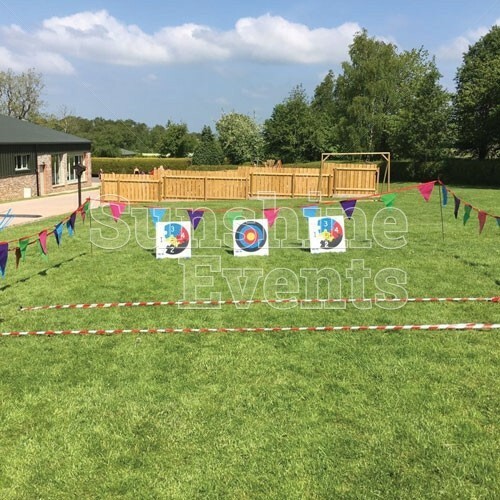 And now, there’s a safe Archery option that’s suitable for even the youngest of your guests! Just like the standard Archery Hire, the Children’s Archery Hire is staffed by a full trained Fun Expert who will show the children how to use the bows safely before giving them the chance to pull back the bow and let that arrow fly. 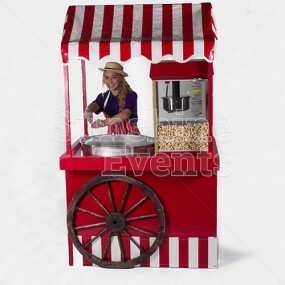 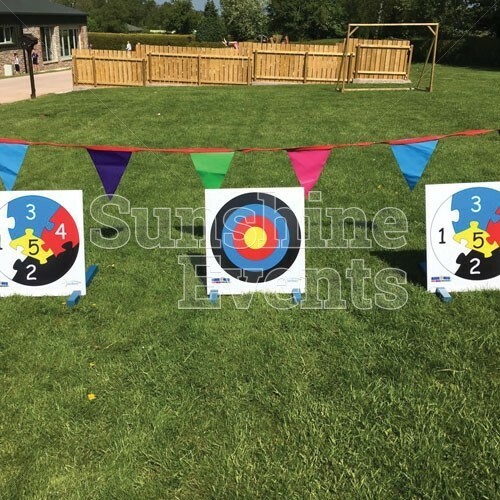 But never fear, these aren’t standard arrows - these are safety arrows, with sucker cups attached to the end. 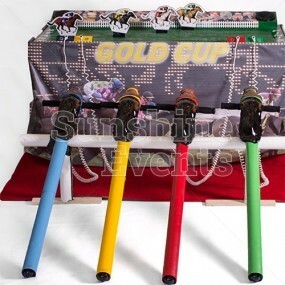 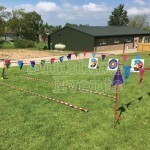 With 3 targets and plenty of bows and arrows included, up to 6 children can play at once. 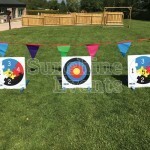 The target feature the standard target pattern as well as a unique jigsaw style target that gives players who are still struggling with their targeting skills to achieve a respectable score. 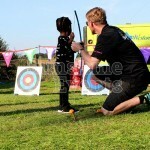 You’ll find that children not only learn a new skill, but a little bit of quick maths as they tot up their own scores. 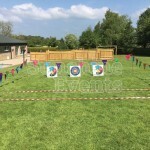 What events are the Children’s Archery Hire suitable for? 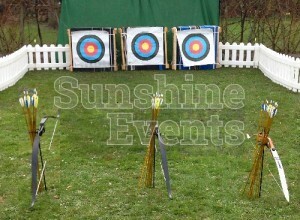 3 targets to fire at! 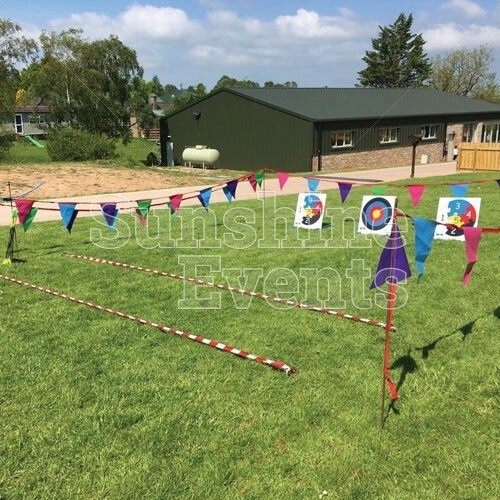 You’ll be right on target with this great addition to your event - once you see the joy on the faces of your younger guests, you’ll be wondering when you can hire the Children’s Archery again! 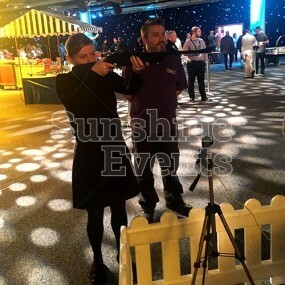 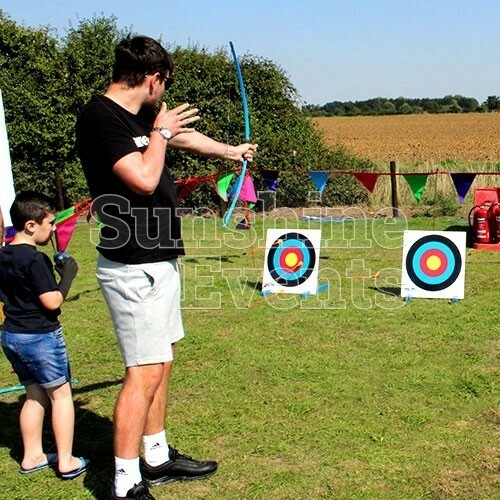 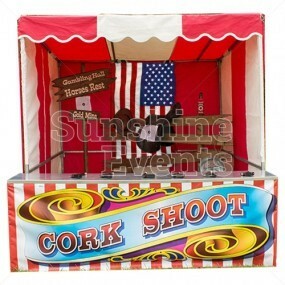 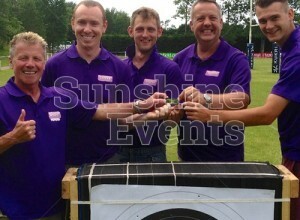 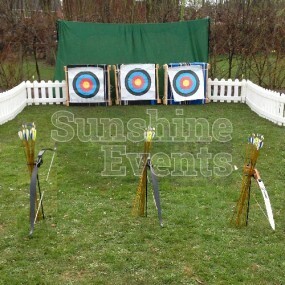 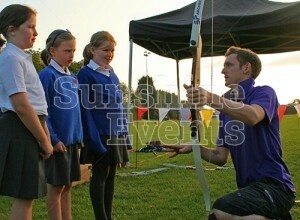 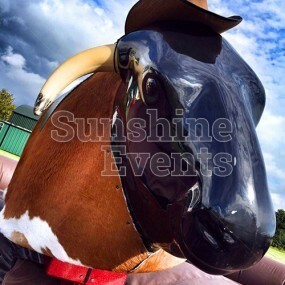 Children's Archery Hire has been added to your Event Quote.